← Do your ugly bollards just make you want to SCREAM! You probably pass by hundreds of bollards without paying much attention to them. Bollards are protectors of property, pedestrians and parking areas. 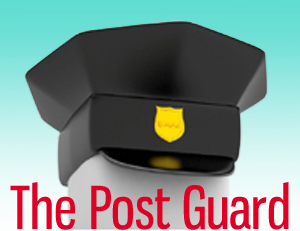 You can find them guarding storefronts, parking lots, and most drive-thru lanes. Now you find bollards in downtown entertainment districts, at toll booths and other public gathering spaces. Although bollards are mostly used for protection, they are also used to separate lanes or to keep a vehicle from climbing a curb. See the difference a Post Guard bollard cover makes. 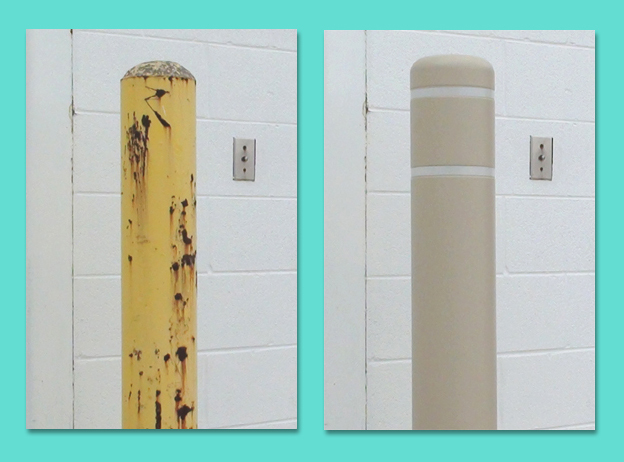 Without a protective covering, bollards will succumb to corrosion causing a total deterioration of the bollard. Bollards are often painted but the surface will not last – causing chipping, cracking and fading. This entry was posted in Uncategorized and tagged bollard covers, bollard guards, facilities maintenance, parking lot maintenance, parking lot safety, parking lot safety solutions, Post Guard bollard covers. Bookmark the permalink.